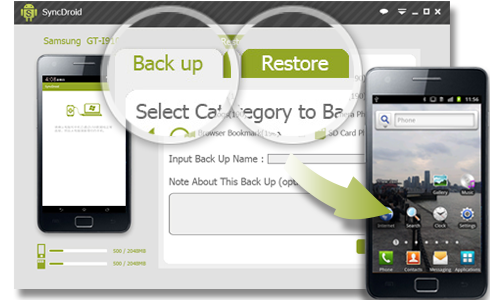 With Android Video Converter, you can have video converted into any video format you need! Windows Media Files (avi,wmv,asf,dvr-ms,ms-dvr), MOV/MP4 Files (mov,mp4,3gp,3g2,m4v,qt), Real Media Files(rm, rmvb), Flash Video File(flv), Matroska Video files(mkv), AviSynth Scripts(avs), Sony High Definition Video File(m2ts), MPEG-1 Video Files(m1v,mpe,mpg,mpv,dat), MPEG-2 Video Files(m2v,mpe,mpg,mpv,vob), Divx Video Files(divx), Ogg Media Files(ogm), Online video(YouTube, Google, Nico videos), Other Video Files(dv,amv). Click Output Profile drop down menu to select proper output profile for Android phones and tablets. Please note: Although it is Android Video Converter, Android Video Converter is also an all-in-one video Converter. It supports all popular media devices such as Samsung Galaxy Note 9, Samsung Galaxy S10, HTC One Series, PSP, Zune, Nokia, ZTE Anthem 4G, mobile phone, Roku player, ZTE Grand S, Pocket PC, Sony Xperia Z, Nexus 7, Acer Iconia Tab A700, etc. Step 1: Please download and install Free Android Converter . Step 3: Click "Add URL(s)" Button and paste YouTube URL to the pop-out box. Then click Download Button, choose video download format and start downloading. 2. How to convert M4V videos to 3GP? You may know that iTunes downloaded videos can only be played on Apple devices for the DRM protection. 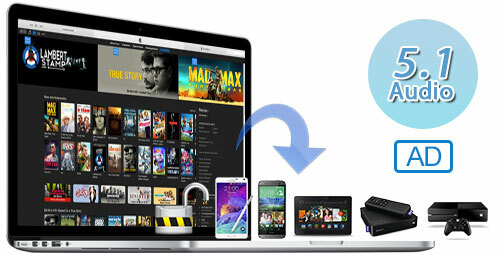 Then, how to transfer the iTunes M4V videos to Android devices for enjoying?